The writer is a lawyer practising in Karachi. Many Pakistanis were thrilled when one of their own was awarded an Oscar for the documentary A Girl In the River: The Price of Forgiveness on the practice of ‘honour’ killing. Although some misguided elements expressed concern that the film portrays Pakistan in a negative light, the general reaction in media, civil society and most significantly government has been positive. 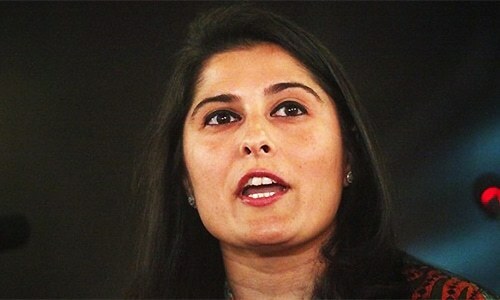 On International Women’s Day earlier this month, filmmaker Sharmeen Obaid Chinoy was given near iconic status by several media channels, where her photographs were juxtaposed with those of Malala Yousufzai and physicist Nergis Mavalvala. 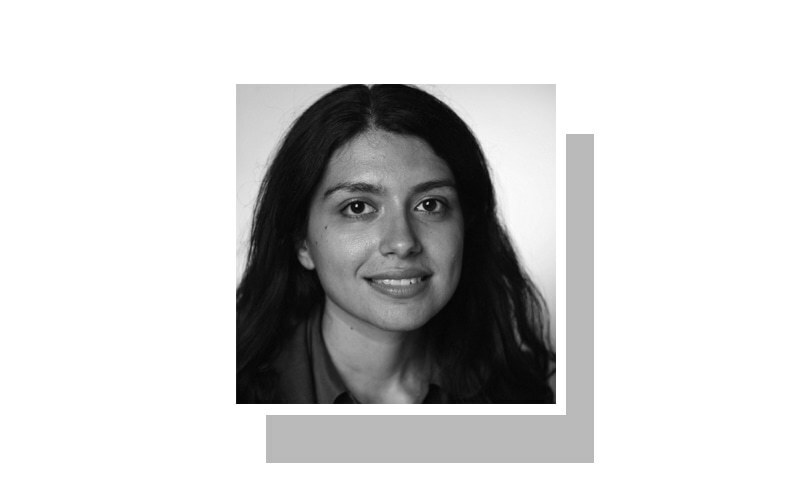 In Pakistan, patriotism and a fascination with the West often go hand in hand, co-existing in a deeply ironic relationship. Our icons often tend to be those who are lauded by the West. So when a Pakistani woman is recognised by the motion picture industry known as Hollywood, we are quick to claim her as one of our own, even before the documentary is made available in Pakistan. Not only do we embrace the filmmaker, but some of us also condemn the social practice portrayed in the film — even those of us who, like the prime minister, have been indifferent to the voices protesting honour killings for years. International and local media give the impression that the film and the current discourse on honour killing have emerged from a vacuum. The filmmaker tends to encourage such notions. During the question-and-answer session that followed a screening at Sind Club in Karachi, Ms Obaid Chinoy stated that the film has sparked a discussion on honour killing that was not taking place until now. 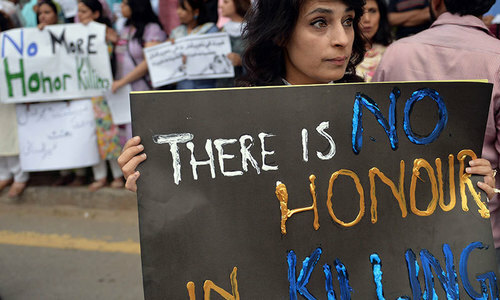 In fact, honour killings have been a prominent part of the social discourse for more than two decades, thanks to the efforts of women’s rights activists. These activists have consistently highlighted one of the main obstacles to ending honour killings, which is the fact that they are very difficult to prosecute. This is to a large extent due to the Qisas and Diyat amendments introduced to the Pakistan Penal Code in 1990, which permit a murderer to escape criminal penalties if he reaches a ‘compromise’ with the victim’s family members. Since the perpetrators of honour killings are generally relatives of the victims, they tend to be forgiven by the victim’s family and face no penal consequences for their crimes. As a result of these amendments, honour killings are, to a large extent, effectively decriminalised. ‘Honour’ killings have been part of the social discourse thanks to the efforts of women’s rights activists. 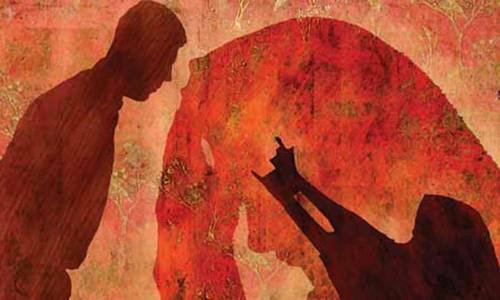 In the years that followed the amendments to the law, media and human rights activists highlighted several brutal incidents of honour killing that went unpunished. 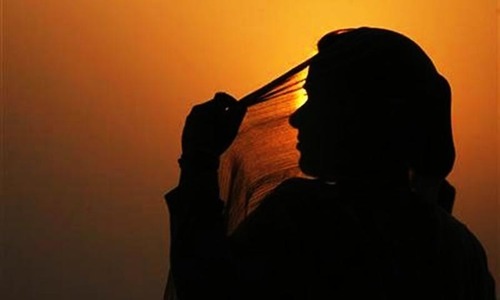 It was due to the advocacy of individuals and groups such as the Women’s Action Forum, Human Rights Commission of Pakistan and Aurat Foundation among others, that lawmakers felt compelled to address honour killings through legislation. In 2005, a Criminal Law Amendment Act was enacted to explicitly make murder in the name of honour illegal. However, the act contained a number of lacunae that severely undermined its effectiveness. The legislation did not make honour killings exempt from the Qisas and Diyat provisions in the Pakistan Penal Code permitting compromise between the perpetrator and the victim’s family in lieu of criminal penalties. 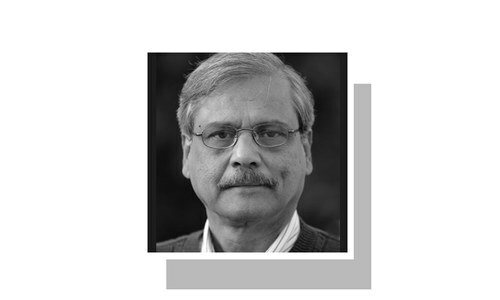 The attempt to fill key gaps was repeated in 2015 when the Senate passed the Anti-Honour Killing (Criminal Laws Amendment) Bill 2014, which made murders in the name of honour non-compoundable ie inexcusable in spite of a compromise. However, this bill could not become law as it was not passed by the National Assembly. Until now, the prime minister has not lent his support to meaningful changes in the law. Although highly publicised incidents of honour killing did not induce his interest in the crime, an Academy Award nomination led to the screening of Ms Obaid Chinoy’s film in his residence. In her Oscar acceptance speech, the filmmaker announced that the prime minister intends to change the law on honour killing. Since laws are not changed by the prime minister but by the legislature, we can perhaps take this to mean that the prime minister intends to support legislation that fills the current gaps. If effective legislation is passed, it should indeed be welcome. However, what does it say about our public officials that the impetus behind their action is an Academy Award and not the Pakistani women who have suffered and struggled against the government’s complacency for years? While film can certainly help galvanise social movements, this documentary cannot claim to have done so yet. The recognition that the film has received so far is not because the Pakistani public has viewed it and is now moved to push the government to act. The documentary was acclaimed in Pakistan because the American Academy of Motion Pictures Arts and Sciences liked it enough to award it an Oscar. The film, which was co-produced by HBO, officially premiered not in Pakistan but in the United States and Canada, which is the film’s intended audience. It may be argued that the government’s motives should be ignored when the result is positive legislative action. But this argument only goes so far. Passing a good law is just the first step to bringing about change. What is required is functioning state machinery that considers itself accountable to its citizens and actually implements the law. Several laws exist in Pakistan to protect women, such as laws restricting dowries and criminalising acid attacks and domestic violence. Yet, these laws don’t serve to protect the lives of the poor, marginalised women who need them the most. Our police, judges and eventually elected representatives do not follow the law because they don’t consider themselves accountable to those people whom the law is meant to protect. Ultimately, real change for the women in Pakistan will not come through prestigious and glamorous awards. It will come if and when the government hears the voices of the women most marginalised by our legal and political system — the women it unfortunately continues to ignore. Crime against women should be dealt with very very seriously. Yet The reactions are varied. Contrast the reactions to "girl in the river" with that to the other documentary "Delhi's daughter"! Or is it the halo of Hollywood? A logical and impresssive analysis by Ms.Sara Malkani of the horrific crimes of honour killing,acid throwing, in short open brutality against the innocent and unfortunate women of Pakistan. Ms Obaid Chinoy does deserve credit for her documentary which is not only the sad story of the women of Pakistan but is pertinent to other countries of the world too. Bravo Miss Sara, i completely agree with you. " The film, which was co-produced by HBO, officially premiered not in Pakistan but in the United States and Canada, which is the film’s intended audience." This statement correctly narrates the whole idea behind this film and why it was made in the first place. Totally agree with the Miss Sara. Very well written. We must spread the awareness in the people of Pakistan, US and Canada, they are already aware of this. They can not contribute directly in resolving our issues. So film makers, who can really bring change can give a laud lesson through their skills of film making. could not be said in a better way.. we always tend to make heroics of the people awarded by the west and regard them as the leaders of change without honoring the people who had spent their lives for the cause. also the real change will not come until the laws are not only amended but implemented, police becomes impartial, judges feel accountable, politicians get brains and education prevails above all.. The women's have been discriminated at all levels in pakistani society.. Here i am quoting your lines that the real change will only come when the government hear the voices of the women.. lets see now what type of measures government will take against this? I am sociologist and study the characteristics of society minutely and keenly. In fact the honor killing is patriarchal phenomena which centers around male dominancy . Though Sharmin has taken valour step yet there is more needed to be projected with reference to honor killing. The texture which is woven after honor killing needs to be highlighted . Special documentary should be made the after maths of honor killing. Your lines are worth reading. Did we care? Do we care? Will we care? We as a society always blames the victim. Question: Ratio proportion wise how many women are sitting in the country's Supreme Court? How many are Corporate CEOs? How many are members of your Islamic Ideology Council? How many in the Parliament, Senate, or in the Bureaucratic profiles? Not only in Pakistan, but also in India, Bangladesh, Serilanka the representation of women in various fields of human activities is like salt in the sandwitch. And, this is all because of lack of their education, poverty in the rural areas,men-dominance, and over all spression/humiliation/persecution by the feudal lords. It is not surprizing fact that a woman in the 70% p.c. population in the remote corners of the country don't know how to count hundred rupees, how to read write adress on a postal envelope. We often hear about Benazir, Indira Gandhi, Hasina Wajid, yet these are rare cases. My point is that there needs lot to be done about girl-education, training, skill development, physical fitness etc. The social workers can do a lot here. Unless we use the film-stage for corrective efforts and mending the ills, it becomes adding salt to one's own injuries. This is a true account of instances of honour killings in Pakistan and its legal status.When women have advanced in different fields,some better than men,the legislative assembly should pass the law prohibiting so called honour killings.Alternatively this topic can be put to the general opinion of the public of Pakistan and its results watched keenly.I am certain the general opinion of the public will support the idea of banning honour killings which will provide an impetus to the legislatures of Pakistan for speedy legislation in the national assembly.The pakistani women have now started walking shoulder to shoulder with their counterparts in the world in education,art and other fields and their achievements are recognizable to the whole world.